Tapping the rising popularity of India's Prime Minister Manmohan Singh as 'Powerful Sardar' these days 'Son of Sardar' producers requested him to perform a cameo (in the guest appearance) to add some spice to the film. "Yes he received the offer from the film producers. But right now he is in a kind of decision state whether to sign any commercial agreement or not. For that he actually is in touch with Madam Soniaji Gandhiji who will instruct him. He is also pursuing to announce few more reforms from the medium of the cinema," said an official in Prime Minister's Office. Recently, Manmohan Singh showed a great amount of new vigour and fresh power by announcing flood of economic reforms which include FDI in retail and insurance and diesel price hike. However, few notorious anti-social elements raised doubt that America was behind all this fresh vigour. According to sources, Gujarat Chief Minister Narendra Modi found saying that Madamji brought some pills like ****ra from US which were just boosted energy levels in the government. However, Prime Minister first time in his life denied these allegations in a firm voice. "I don't take such stupid pills. Yea for some time I was using Navratna Thanda Thanda Kool Kool hair oil to get a decent sleep but ****ra pills is no way," said Manmohan Singh. Taking the cues from all these issues Ajay Devgn Film Productions unit decided to approach Prime Minister for a cameo but a substantially important role in the movie. 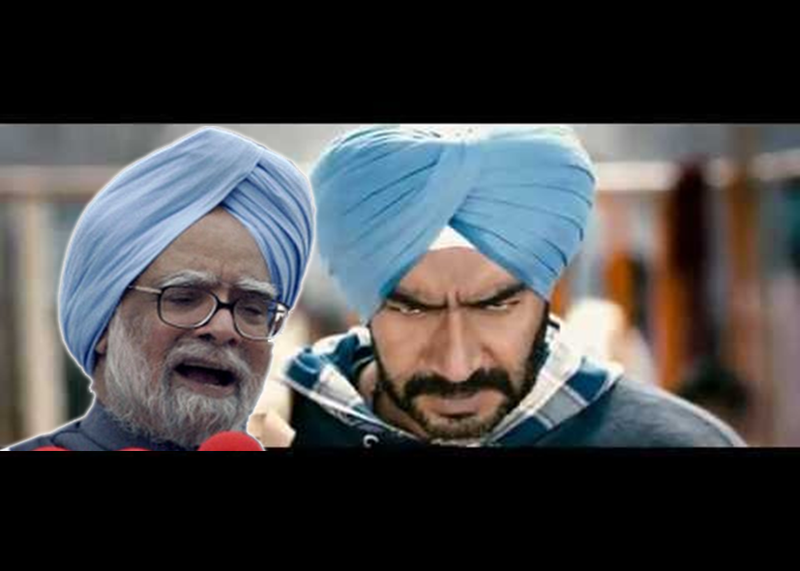 "Yes we approached PMO and requested them that next announcements of reforms could be done using 'Son of Sardar' platform and Prime Minister can play important cameo in the movie," said Ajay Devgn. He said "We are not using Prime Minister's recent popularity but we just want to show the recent real juices of Sardar Prime Minister. Manmohanji will perform my father's role and will guide me to fight against evil powers such as Sanjay Dutt." Sources said that PM will have only one dialogue throughout the movie whenever he appears. He will say "Mouth Shut its Jatt". Sources also told that actually production house was earlier thinking that it would take Harbhajan Singh in the movie but after India's worst performance against Australia, it dropped the idea.